This piece originally appeared on VinePair. “The wine of kings, and the kings of wines,” is what Louis XIV said about the elegant, sweet aszú wines of Tokaj. From off-dry Riesling, to effervescent Moscato, to full-on dessert wines like aszú or its French counterpart Sauternes, sweet wines from around the world can be an incredibly delicious pairing for many foods and occasions. Many of us have tasted a flabby, sickly sweet Moscato, or an overly sugared Riesling, and as a result sworn off sweet wines for good. There are some badly made sweet wines out there, it’s true, but a good retailer will have quality options for you to choose from. Why drink sweet wines? To answer this, it helps to define what a “sweet” wine is, as opposed to an oaky or fruity wine (which many people incorrectly identify as “sweet”). Sweet wine actually has residual sugar in it, because during fermentation the yeasts did not consume all the sugar. 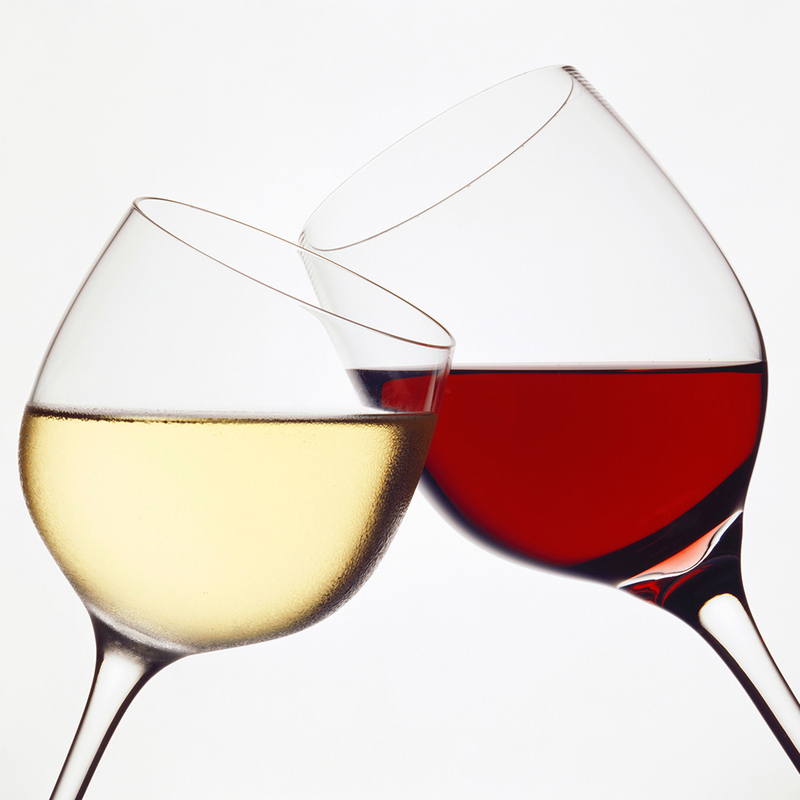 This means that sweet wines are much lower in alcohol than dry wines. As well, they have an ability to match the flavors in food that can’t always be achieved with dry wines. Sugar, fat, and salt, consumed in concert, can produce the most ethereal gastronomic harmonies. Here are a few examples of really great sweet wines, and suggestions for what to pair them with. All of these wines should be served fairly chilled. Forget about that Nicki Minaj Fusion Moscato. The real stuff is traditionally made, delicious, and versatile – you can have it as an aperitivo, or a finale. Typically, Moscato Bianco is the grape that goes into this frizzante (lightly fizzy) wine. Good Moscato displays an intense aroma of wildflowers, peaches, and lemon curd that comes naturally from the grape. The highest quality Moscato will be from the DOCG area of Asti, in Piemonte – which will be labeled “Moscato d’Asti.” It’s not a fully sweet, viscous wine; most Moscato is medium-sweet, with a refreshing lightness. Do like the Italians, and have a proper aperitivo: Moscato, charcuterie, olives, and little sandwiches. Or, you could have Moscato with cake for dessert. During the 80s and 90s, a lot of bulk-produced white wine was labeled as “Riesling” even though it was really a blend of cheap white grapes with a bunch of sugar dumped into it. This has given Riesling a much undeserved bad reputation, but fortunately winemakers in Germany (its home base) and beyond have revived the grape’s image through careful vineyard and winery management. Off-dry and sweet Riesling can be astonishing because Riesling is naturally high in acidity and minerality, which means the wines can get very complex. Look for bottles that have been aged a couple of years, ideally, and especially from the Mosel, in Germany. An off-dry (Kabinett) Riesling is absolutely the perfect pairing for insanely spicy Asian cuisine, whether it be Thai, Indian, or Szechuan. Try it and you’ll see: the sweetness absorbs all the fire. If you can get your hands on a bottle of fully-sweet (Auslese, Spatlese, Beerentrockenlese) Riesling – which isn’t cheap and can be hard to find – it will be totally magical with a fruit pie, but it’s also great with main courses featuring fatty pork cuts, because the sweetness marries with the fat. Sauternes is a pricey, delicious, sweet, limited-production wine made from botrytized Semillon grapes from Bordeaux. Botrytis, a key element in dessert wine production, is essentially a favorable rot that develops when the grapes hang on the vines late into the harvest season, which heightens their ripeness and sweetness factor and lowers the alcohol content. The acidity in the Semillon grape makes Sauternes infinitely ageable, so the older a bottle you can find, the more incredibly complex it will be, with flavors ranging from dried apricots to baked peaches to fresh flowers. Serve Sauternes with the stinkiest cheese you can find, and pie. Hungarian aszú has long been considered one of the world’s greatest sweet wines. So, why haven’t you heard of it? Well, 45 years of Communism (and, correspondingly, State ownership of agricultural land and production) took a toll on the Hungarian wine industry, and it’s needed some time to recover. But now, you can find sweet aszú wines on the market, and they’re delicious. Like the Sauternes from France, aszú are made with white grapes (typically Furmint) that have been left to develop the noble rot, and additionally they’re completely shriveled up before they ferment. A well-made aszú is shockingly good – not only full of fruit and flower notes, but also laced with an almost ethereal acidity that counters the sweetness. Hungary is a foie gras and pork producing country, and the Hungarians enjoy drinking aszú with these rich and fatty foods. Definitely try it. The way ice wine is made is amazing: in the dead of winter, brave winemakers go out into the vineyards and harvest grapes that have frozen on the vine, then ferment them. It’s a laborious thing that many winemakers prefer not to do – so, some of them make ice wine by simply freezing the grapes after harvesting, then probably adding sugar. In other words, real ice wine is a rare treat. It usually comes from Canada, or the Finger Lakes, or Germany, and is often made from Riesling or a cold-hardy hybrid variety, like Vidal Blanc. In some years, the grapes don’t ripen before they are frozen, in which case there can be no ice wine at all. Be psyched if you score a bottle! Ice wine with cheesecake is a beautiful thing. Port is a fortified wine from Portugal’s Douro Valley, which has just enough sweetness to work beautifully with your Thanksgiving pies. Two common Port styles are Ruby, the least expensive and youngest, and Tawny, which is aged longer in barrel to take on a darker color. Aged Tawny Port is left in wooden casks for at least six years and develops a soft, silky characteristic that will be a wonderful finish to a special meal. Of all the wines mentioned here, Port is one of the cheapest; you can find really tasty bottles for $15. Serve Port with a slice of room-temperature blue cheese at the end of your meal, and you’ll be in heaven. Add a square of ultra-dark chocolate for extra heaven.